Bali has been a special place for me. Especially for my best friend, Nina. 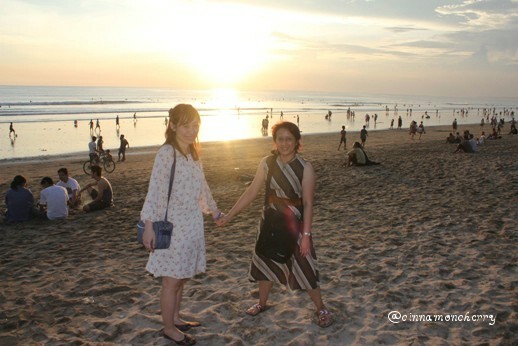 When she was still in university, she went to Kuta with her friends. 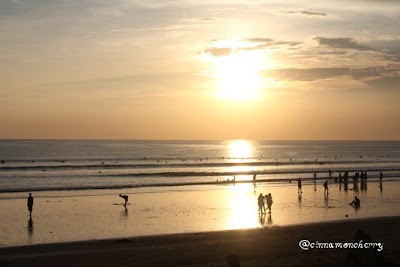 Last May, after picking her up from the airport, we decided to go to Kuta. There we were, two ladies of different backgrounds and nationalities. With different thoughts and dreams. Watching the sunset together made us smile. It made us dream. And yearn. And hope. Happiness comes in many forms. Blessings come and go, and we might not realize our lives are brimming with them until we take some time to reflect and remember. And when we do, we will realize that life might take us to a straight or roundabout route, but God will always shower us with blessings, sometimes when we least expect it.